How to use custom image instead of '*' in edittext password field? Any answer or hint will be greatly appreciated. enters into the login screen, keyboard will open automatically. tries to enter value in it then textbox background changes to textbox with star background. 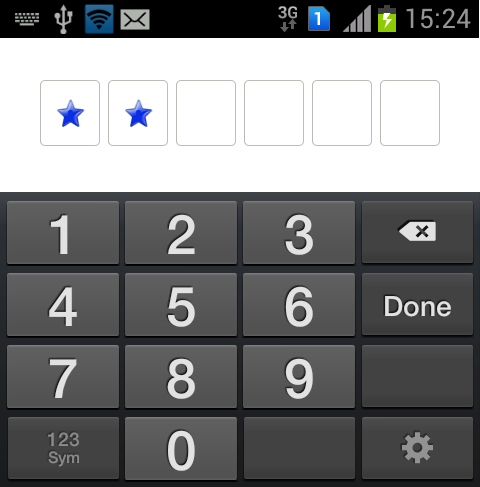 tries to cancel/delete the input value by using back key on keyboard then textbox background will change to textbox without star background. Another approach: create you own class which extends PasswordTransformationMethod. 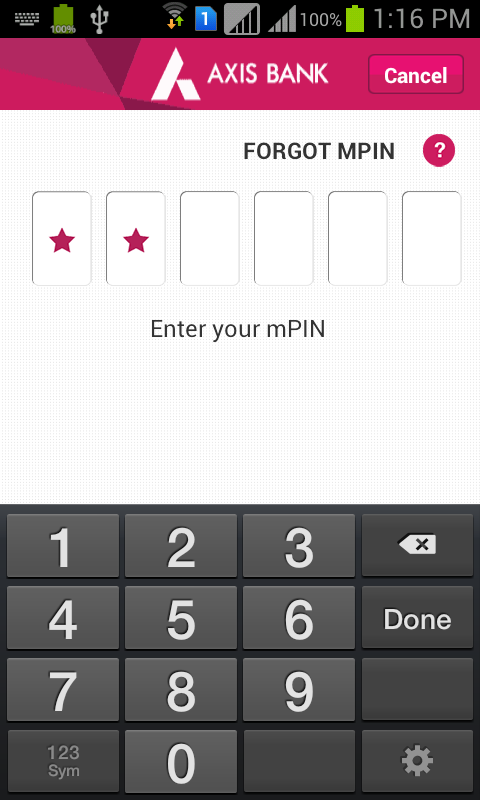 Reference: In android how to show asterisk (*) in place of dots in EditText having inputtype as textPassword? I think simple way is, you have to define 6-edittext in xml layout. and set width and height with custom background resorces. and read all edittext value. I am not sure but it will help you.